Members Mortgage Solutions has created this privacy statement in order to demonstrate our firm commitment to privacy. Where this site specifically asks for your personal information (for example to respond to requests for information or to register users for particular services), your personal information will only be collected by staff of Members Mortgage Solutions who have responsibility for responding to such requests or administrating such registrations. Cookies can be either "persistent" or "session" based. Persistent cookies are stored on your computer, contain an expiration date, and may be used to track your browsing behaviour upon return to the issuing web site. Session cookies are short-lived, are used only during a browsing session, and expire when you quit your browser. Upon closing your browser the session cookie set by this web site is destroyed and no personal information is maintained which might identify you should you visit our web site at a later date.  Access to personal information collected on this site Unless required by law to do so Members Mortgage Solutions will only disclose personal information collected on this site to a third party if consent has been provided. These sites may on occasion provide links to other sites for your convenience or additional information. Members Mortgage Solutions is not responsible for any content or practices of these sites. For further information about this Privacy Statement contact info@memberssolutions.com.